DiGiCo SD lineup of consoles was critical in securing smooth sounding audio for multiple concerts around the world. From the very first product that bore the DiGiCo moniker, there is one thing that no one has argued about, no matter their console loyalties: the team in the UK pack a tremendous amount of power into a relatively small amount of space. 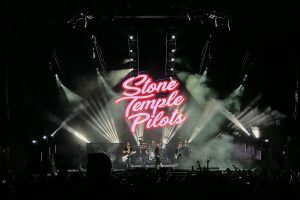 And space was a consideration as alt-rock pioneers Stone Temple Pilots (STP), Bush, and The Cult teamed up for their summer-long, triple-headline Revolution 3 Touracross North America. Speaking from the bus on a day off, Monitor Engineer and Crew Chief Sean Herman, FOH Engineer James “Hootsie” Huth, and System Engineer Chris Demonbreun held forth on the joys of the road and why they chose the DiGiCo SD12s that are at FOH and monitor world for the STP portions of each show. Keeping signals in the digital domain was another big draw, says Demonbreun: “Everything you hear is coming to me from Hootsie’s console over AES at 96K and feeding the LA-RAKs for the K1/K2 system. Everything is digital from the time it leaves the mic pre until the time it hits the speakers.” AES distribution is handled by a Reidel RockNet system. 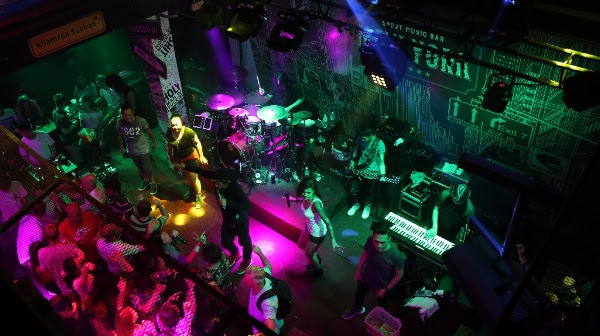 New York Bar is one of the most successful entertainment venues on the famous Bangla Road on the stunning island of Phuket, Thailand. Packed every night, this small venue packs a big punch and needed a compact mixing console that could match the club’s high energy output. The solution was a DiGiCo S21, supplied by Fuzion Far East, the British manufacturer’s Thailand distributor. New York Bar’s owner opted for the S21 as he knew it would give him all the DiGiCo power and audio quality in a cost-effective, compact format that would fit in the club’s extremely small control room. Installed and commissioned along with a Nexo PA by Mr Team, one of Thailand’s largest audio production and installation companies, the S21 has been set up for ultimate ease of use for visiting sound engineers, who are enjoying both its simplicity and the ability to control it remotely from the iPad app. Pukkelpop, held over four days at the end of August, showcases an incredible variety of musical genres, from rock, to pop, to house and metal. It also hosts theatre, street entertainment and food from around the world. A major part of the audio production for this eclectic mixture of entertainment that has elevated Pukkelpop to being Belgium’s biggest and best alternative festival, is handled by production company PRG. 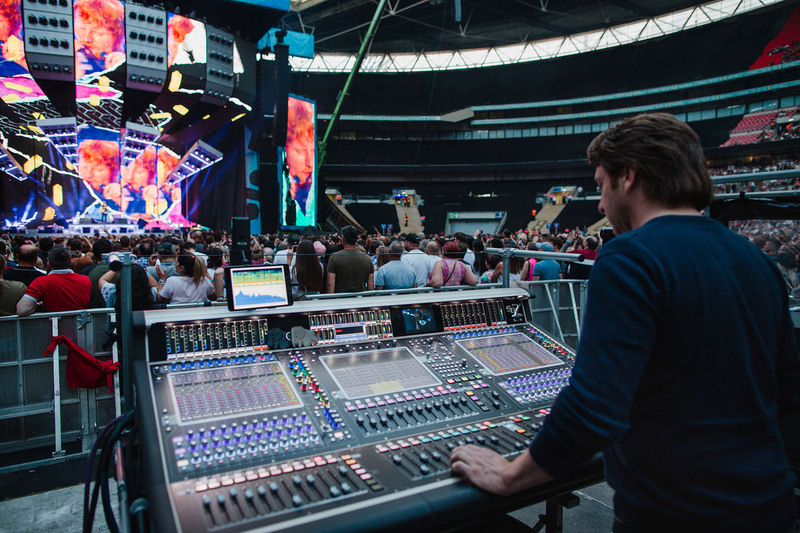 DiGiCo was its choice of console for three of the festival’s stages including the Main stage, which hosted some of music’s biggest acts, including Dua Lipa, N.E.R.D, Arcade Fire and Kendrick Lamar. The DiGiCo line up was SD10s on the Main and Marquee stages at both Front of House and monitor positions, and SD7s at both spots in the Dance Hall. Most bands took advantage of the house consoles, but if they did not, it was because they had brought their own DiGiCos with them. PRG’s Patrick Demoustier was in charge of the engineers’ prep room, which housed both an SD7 and SD10, where he and Jaap ran PCs with offline software and session converters. With a session ready, the files were uploaded to a festival Dropbox. All FOH and monitor positions were continuously online, so before the guest engineer reached the stage, the file was loaded and working on the console. Running in parallel with Pukkelpop was the Lowlands festival in the Netherlands. 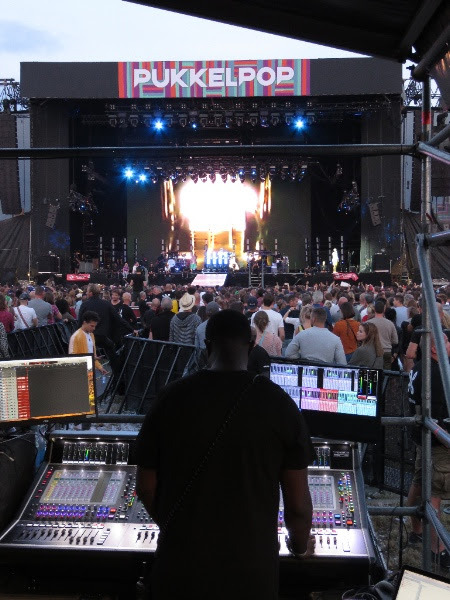 DiGiCo’s Dutch distributor, Ampco Flashlight Rentals & Sales provided Lowlands with an equivalent DiGiCo prep room, which was in direct contact with the Pukkelpop prep room. With many of the acts playing both festivals, having access to both Dropboxes meant that files were already on site and converted before the acts reached one or other festival. DiGiCo also used the prep room to demonstrate Quantum 7, which gave engineers a chance to experience the new SD7 engine. 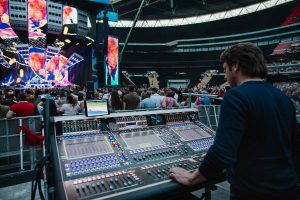 At every stop along the way, a DiGiCo SD7 console, supplied through the tour’s SR provider, UK-based Major Tom Ltd, is the link between Sheeran onstage and thousands of fans in huge venues, such as PNC Park in Pittsburgh, Rogers Centre in Toronto, and the FNB Stadium in Johannesburg. The SD7 and its single SD-Rack are piloted by Chris Marsh, who’s been Sheeran’s production manager and FOH engineer since Sheeran’s + Tour in 2011.